Craftsman inspired home on fenced CORNER LOT in beautiful Annandale. 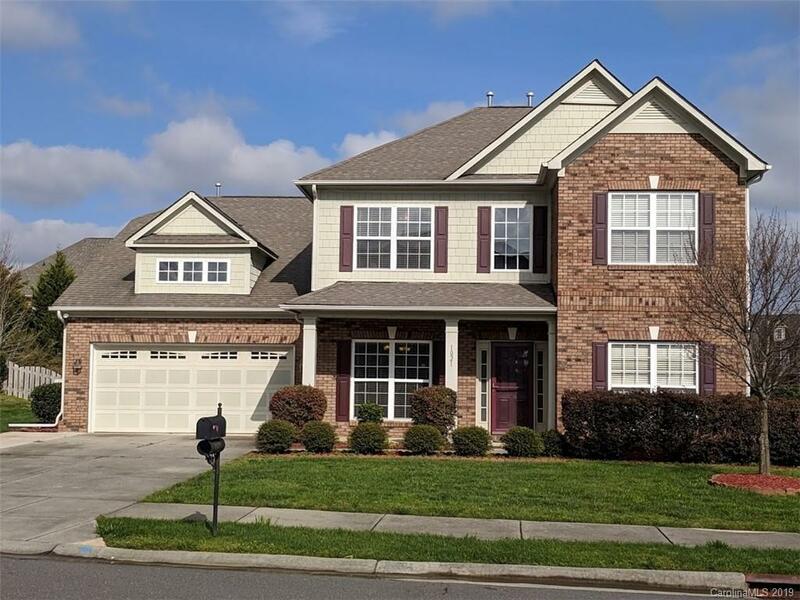 Featuring open floor plan with an expansive Master Suite on Main, beautiful screened porch with pine ceilings, formal dining and living rooms, breakfast room, spacious great room, kitchen with granite counter tops, warm wood floors and cabinets with ceramic back splash. Upstairs see a huge loft with, 3 additional large bedrooms, and 2 full baths. Exterior find a manicured yard with five zone irrigation system, 8' x 12' storage shed, an expanded driveway and a patio directly off the screened porch. The Community amenities offer a playground, pool, dog park, tennis and basketball courts. Union County taxes and easy accessibility to Charlotte with the newly opened 74 bypass.